Like most of you I have benefitted from our great Education system, but by working hard together we must make sure every child in Fingal gets the best possible opportunities to develop their individual personality and talents. With our booming population here, we must set about making sure that we have the proper medium and long-term educational planning in place, to ensure all the school places necessary, where and when they’re needed. Fingal is the youngest and most diverse county in Ireland, with the highest birth-rate and the highest number of families. At the last census in 2011, there were 75,795 children from ages 0-17, with 26,708 from 0-4, 33,076 from 5-12 and 19,054 from 13-18. Swords is now the largest town in Ireland, with a population of 48,828, making it bigger than Waterford. Fingal planners have classed Swords as an ’Emerging City,’ with a projected population of more than 100,000 by 2035, and every other town in Fingal has seen similar pro rata population growth in the past ten years. We can, with some assurance, predict at least a 10% increase in those numbers by the next census in 2016. 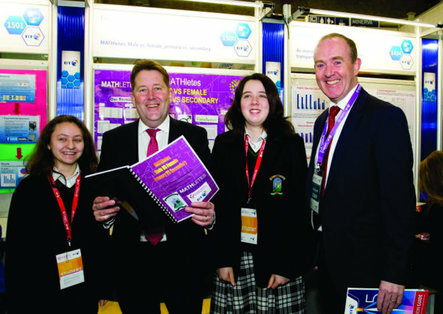 Fingal needs a new Educational Long-Term Planning Committee or Schools’ Forum, comprising members of Fingal CoCo, the Department of Education and Science, the ETB, as well as representatives from religious-denominated schools, Gaelscoileanna, Educate Together, National Schools and the Pre-School sector, so that all have a say in forward planning our new schools for the future, as well as ensuring the necessary and timely refurbishments of existing schools. Their recommendations should be included in the new Fingal Development Plan. Parents must be assured that adequate school facilities will be provided at all times, in a planned and ordered manner, for their children here in Fingal. As part of that detailed planning we must make better provision for Early Childcare. Fianna Fáil will bring in a second free pre-school year. We will introduce a €2,000 Childcare Tax Credit to set against high childcare costs. I believe this is a priority particularly for families that have more than one child in early education, and assistance should be provided for those families immediately. Here are the Fianna Fáil proposals entitled Investing in Children. Universal Second Free Pre-School Scheme: We pledge to introduce a Second Free Pre-school Year for all children aged 2 to 3 years old, to give children and families access to early education services and supports, right from the start of each child’s life. Childcare Affordability: Fianna Fáil will introduce a Progressive Childcare Support Credit for working parents so that good quality, affordable childcare is available to all. Supporting Parental Care: We will extend Maternity Leave to 30 Weeks and introduce joint transferrable paid parental leave measures so that parents, if they choose, can spend longer with their new-born without worrying about its effect on their career prospects or their ability to earn a living. Quality Early Education: We want to support the provision of high-quality early childhood care and education for all, by raising quality standards through increased investment in a graduate-led, professional, early-childhood services. Closing the Gap: Fianna Fáil will increase early education services to overcome the skills gap between the most deprived and the most advantaged children, before they start school, by increasing the number of quality pre-school places for children from disadvantaged families, and increasing support for effective Early Intervention Initiatives. Early Intervention and Development: We are committed to making additional childcare supports accessible to families of under-3s, including measures to support the early education and development of young children. Fianna Fáil will ensure all children have access to inclusive early education and care, supporting the integration of children with disabilities and special educational needs into the mainstream early childhood services, and expanding the ECCE scheme for children with SEN. Early diagnosis and intervention is crucial to achieving the best outcome for any child with Special Educational Needs. Children with Special Educational Needs and their Parents deserve and must have an early assessment by an appropriate professional, and then by a multi-disciplinary team, followed by access to an educational placement appropriate to the individual child’s needs. Each child should have an Individual Educational Plan (IEP) with input from all the relevant professionals and the parents. At present there are no Early Intervention Teams in all of Dublin, which is a total disgrace. We are determined to change this and ensure that all children with SEN have access to the services outlined above. The treatment of pupils with SEN differs across the system and often from school to school. Some children with mild general learning disabilities or specific learning difficulties such as dyslexia get NO individual teaching hours. Support for those children individually has to be taken out of the already totally stretched learning-support allocation. I favour a system in which the overall needs of the school are assessed, before the special education teachers are allocated. This would mean that the schools with the most need gets the most teachers, and that is how it should be. It is truly shocking to see Hiqa report that there are 800 children in the north Dublin area, which includes Fingal, who have to wait up to two years to even see a social worker. Hiqa says that these at-risk children have no allocated social worker, that there has been a failure to notify suspected abuse to Gardaí, and that there is a general failure to respond adequately to potential cases of long-term neglect. They found the service was not sufficiently resourced and staffing levels were a serious concern. This is a national scandal.